As a new booming business P.R.I. enters the market with rave reviews as Agapito has set a high standard for his work. While we are a brand new company we are very familiar and have been engulfed in the industry for many years. We will continue to provide customers what they need as well as adapt and learn to the newest trends within roofing. Originally from Los Angeles, Agapito (Aggy) moved to the Bay Area with his family in 1995. He has been in the roofing industry for over 30 years. Aggy has held several different positions within only a few companies as he puts his all into the work he does. His experiences include roof installation, Foreman, Salesman, and Project Manager. His most recent accomplishment is the start of his own business. You can expect nothing but the best from him. 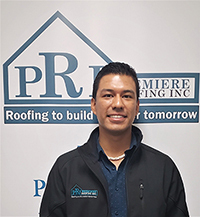 Northern California born and raised, Jairo brings to the table a fresh perspective being newer to the roofing industry but quickly adapting and learning from the decades of experience found in those around him. 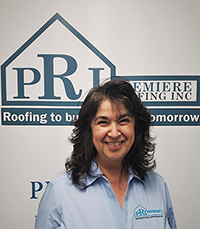 With a background in computer science, he is not only capable of handling the office side of the business but going out on the field and responding to questions or concerns a homeowner might have regarding the roofing systems out there and what PRI Premiere Roofing Inc has to offer. 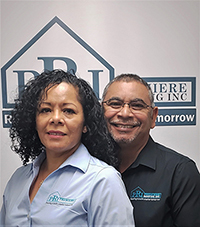 Maria Navarro is our Office Manager and has a long history of working both in the office and out in the field in her career. Q: What is the average cost of a new roof? A: The cost of a new roof will vary based on the size of the home, the material you choose, if there are multiple layers of roofing and if any repairs are necessary, like dry-rot or an underlayment issue. Q: How long will it take to install the new roof? A: A new roof typically takes 3 to 5 days. There are many things to consider when thinking how long it will take; inspections with the city, size of the roof, material selected as well as the weather. We will never start a job if there is weather that could potentially cause any damage. Q: How do I know if I need a new roof or just a repair? A: Our qualified roofing technician will come to your home and meet with you and discuss your concerns. We will inspect the roof and provide you with a full detailed report. This will allow you to see if there are any other concerns that you may not have known about and allow you to make the best decision. We also include pictures of the roof so you can actually see what we are seeing on the roof. A: Yes, we carry Workers Compensation as well as General Liability. 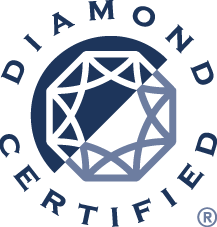 We will provide a certificate with each job we perform. You can visit the California State License Boards (CSLB) website. Our license number is 1017017.
our Certified Report and Ratings Dashboard.